This post continues our series of bringing you more Wisdom from your fellow students of the contemplative path. We hope you will find these posts enriching, enlightening, and inspiring for your own journey. If you would like to submit a post for future consideration, please email admin@contemplative.org. By the end of Part 1 of this exploration, we were prepared to consider the story of Job from a metaphysical perspective — and in particular Jung’s analysis of the story as a grand metaphor of Yahweh coming to consciousness. Both Boehme and Teilhard provide some direction for this still largely ignored avenue for exploring the Book of Job. But the pleromatic split is in turn a symptom of a much deeper split in the divine will: …God wants to become man, the amoral wants to become exclusively good, the unconscious wants to become consciously responsible (p. 62). The inner tension between the pulling in of Unity and the pushing out to differentiate for self-knowing brings to mind Teilhard’s diffusion-convergence interplay observed in creation. These repelling and attracting forces lead into his complexification-consciousness concept. As long as the unconscious-conscious antinomy remains undisturbed Unity can be eternally at rest. But Satan’s bet, which is actually challenging Yahweh to be self-aware, occasions Unity to face its manifesting expression. For the latent capacity for becoming (the lived expressing of Unity) to flower into being, the impulse toward consciousness must be realized — in both senses of the word “realized”. Moreover, the overall direction of the interactions of these opposing forces is imbued with the essence of Unity; that is, a trajectory back to unity as a reuniting in a new dimension. This would be Jung’s “regenerated God”, Boehme’s body of Christ, Teilhard’s Omega point, and fulfillment of Oikonomia, the divine plan. Could the big bang be the splitting of the unconscious-conscious antinomy of the Unity (perhaps like the splitting of the atom in the material realm)? I realize we are wading into the deep waters of the debate over whether the Source (Unity, God, One) is unconscious or pure consciousness or both. While Jung, Boehme, and Teilhard all have their positions on this topic, it is another area for a separate discussion. Regardless, in the Book of Job an intimation of self-awareness occurs. This is even suggested by Yahwah himself, according to Jung, in his judgment of Job’s friends: “they have not spoken of me what is right as my servant Job has” (42:7). The friends have argued on the basis of conventional wisdom, which may apply to pragmatic everyday moral situations but simply doesn’t cut it with the big questions of life — paradigmatic and personal ontological questions. A new divine-human relationship is being forged. Evil is an essential part of the process. Job in his righteous stand has put a new wrinkle in the human relationship with God by boldly going where no human has gone before (Star Trek allusion is intentional). The Old Testament covenants rooted in laws, obedience, and judgment do not hold ground in Job’s case. As Jung points out, “Yahweh displays no compunction, remorse, or compassion, but only ruthless brutality…he flagrantly violates at least three of the commandments he himself gave out on Mount Sinai” (Jung, p. 14). The whole scheme of retribution/rewards and salvation through an outside source is collapsing under Job’s experience. The divine-human relationship is shifting from covenants to consciousness. 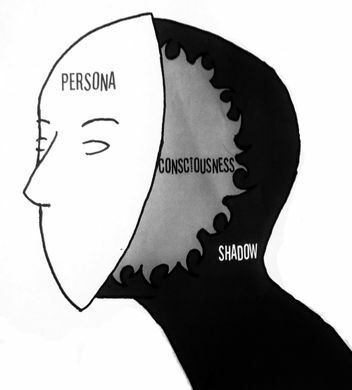 Integrating the micro and macro, the know-yourself theme in The Gospel of Thomas can be at the same time the Unity knowing itself, or Jung’s regenerating God. Just how wisdom and kenosis factor in, again, must wait until another post. Regarding the existence of evil, the two basic positions are: 1) evil is the absence of good, privatio boni (the privation of good); that is, the absence of God, or 2) evil is an aspect of God and is the necessary initial movement of creation or the evolution of consciousness. Jung, Boehme, and Teilhard all support this latter position from their own perspectives. Not surprisingly, the outward expression of Unity’s inner struggle manifests with omnipotence taking precedence over omniscience. As demonstrated repeatedly in micro reality, blind fury (shock and awe come to mind) is the immediate reaction for resolving tensions — war rather than negotiations, might to enforce right. Boehme characterizes the wrathful principle as “hardness, harshness, and sharpness” (Bourgeault, HT, p. 97). Teilhard associates evil with disorder, failure, and decomposition (i.e., death as part of life); the toil and suffering necessary for growth; and the anguish “of a consciousness awakening to reflection in a dark universe” (Teilhard, pp. 224-225). Materially, this is the initial diffusion of random, disorganized bits and pieces; that is, energies that eventually condense into matter along the re-unifying trajectory. Teilhard also directly connects the unconscious with evil: “We have glimpsed that unconsciousness is a kind of ontological inferiority or evil.” Teilhard makes this statement as a scientist governed by the idea “that the world will only find its completion insofar as it expresses itself in a systematic and reflective perception.” In a near reversal of the Job story, Teilhard sees the need “to know for the sake of power,” but as a religious he goes on to emphasize that this power for the advancement of humanity must be “put to the service of the spirit” and “for the purpose of being more (Teilhard, p. 176). 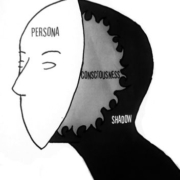 While unconsciousness, evil, the dark, the shadow and sin have been used interchangeably by Jung and others, the unconscious should not be equated with evil. Evil (and sin as evil in action) is a content of the unconscious and can manifest in ugly ways. But goodness can also spring from the unconscious, as in spontaneous heroic acts. Evil is understood as separation or differentiation from good. It is ultimately non-life giving; it is Scott Peck’s people of the lie. Nevertheless, given the initial fight/flight instinct in the face of tension and threats, Yahweh is certain to not flee and is saved by Job’s judicious backing off. While Job retreats, Yahweh regresses. The answer for Job is to not enter a clearly unwinnable power struggle. If his victim won’t engage, the perpetrator must either continue the stalemate to its bitter end (the death of Job) or own up to his monstrous behavior of allowing his bet with Satan to go to such untenable lengths. But Yahweh’s owning up is just a prick, however momentous. His omniscience is still too overwhelmed by his omnipotence. It is noteworthy that Satan disappears after the prologue, never heard from again as a separate character (Barr, p. 41). For Jung, God “is hiding [Satan] from his own consciousness in his own bosom!” (Jung, p. 19). Thus, Jung can say, “Job is no more than the outward occasion for an inward process of dialectic in God” (p. 16). Existence is only real when it is conscious to somebody. That is why the Creator needs conscious man even though, from sheer unconsciousness, he would like to prevent him from becoming conscious (p. 11). Just before this unorthodox announcement, Jung makes a comparable intriguing statement: “Yahweh regrets having created human beings, although in his omniscience he must have known all along what would happen to them” (p. 10) and not only what would happen to humans, but what might happen to his divine plan. For all his omniscience, the One could not know if humanity as a whole would finally choose to align with that inner spark of divinity or remain stubbornly disobedient. Is it any wonder that the initial divine-human relationship was an obedience-based covenant, admittedly on the gross level of rules and laws as it is for children? 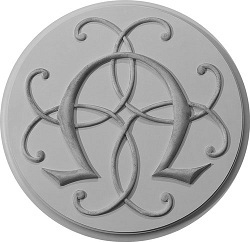 For the mature spiritual person, obedience, as derived from its root of ob (L. toward) and oedire (L. to hear), is to fully take in and follow the Unity’s message. Despite the trajectory toward conscious unity, there is no guarantee that humanity won’t fall off the curve as the manifesting One carries on without us in other worlds. As the stuff of the universe enfolds on itself (Teilhard’s involution), evolution is irrepressibly progressing. Built into the involution-evolution interplay is the very essence of “God”; i.e., unity, informing and embedded in the trajectory toward re-unification. Will we join the dance and participate in unconscious Unity becoming conscious Unity? After all, it’s just one giant step to move out of the dosado with an obedience covenant and to swing into transformed consciousness. Future posts will offer a way to bolster our stepping forth by reconsidering the Trinity and keeping in mind Jung’s answer to Job. Read on – Part 3. 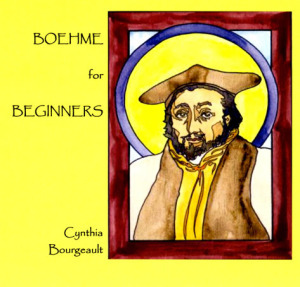 To honour the date of death of Jacob Boehme or if you are interested in learning more, please see our Boehme for Beginners audio teaching by Cynthia Bourgeault. Alden, Robert L. Job. Vol. II in The New American Commentary series. Broadman & Holman Pub., 1993. Anonymous. Meditations on the Tarot: A Journey into Christian Hermeticism. Robert Powell, trans. New York, NY: Jeremy P. Tarcher/Putman, 1985, 2002. Armstrong, Karen. A History of God. NY: Random House, 1993. Barr, James. “The Book of Job and Its Modern Interpreters”. Lecture delivered in the John Rylands Library, 10 February 1971. Available at www.escholar.manchester.ac.uk. Boehme, Jacob. Genius of the Transcendent: Mystical Writings of Jakob Boehme. Michael L. Birkel and Jeff Bach, trans. and eds. Boston, MA: Shambhala, 2010. Boehme, Jacob. The Way to Christ. Peter Erb, trans. Toronto and NY: Paulist Press, 1978. Bourgeault, Cynthia. (HT) The Holy Trinity and the Law of Three: Discovering the Radical Truth at the Heart of Christianity. Boston, MA: Shambhala, 2013. Bourgeault, Cynthia. (MMag) The Meaning of Mary Magdalene: Discovering the Woman at the Heart of Christianity. Boston, MA: Shambhala, 2010. Bourgeault, Cynthia. Teilhard for Our Times. Spirituality & Practice, 2016. Available at https://www.spiritualityandpractice.com/ecourses/course/view/10182/teilhard-for-our-times. Bourgeault, Cynthia. (WWK) The Wisdom Way of Knowing. San Francisco, CA: John Wiley & Sons, 2003. Bruteau, Beatrice. God’s Ecstasy: The Creation of a Self-Creating World. NY: Crossroad, 1997. Clement, Olivier. The Roots of Christian Mysticism. Hyde Park, NY: New City Press, 1993. Delio, Ilia. The Unbearable Wholeness of Being: God, Evolution, and the Power of Love. Maryknoll, NY: Orbis, 2013. Gospel of Thomas. Lynn Bauman, trans. Ashland, OR: White Cloud Press, 2004. Hart, David J.H. Christianity: A New Look At Ancient Wisdom. Kelowna, BC: Northstone Publishing, 1992. Jung, C. J. Answer to Job. Princeton, NJ: Princeton University Press, 1973. Miles, Jack. God: A Biography. NY: Vintage Books, 1995, 1996. The New Oxford Annotated Bible, 3rd ed. Michael D. Coogan, ed. New York, NY: Oxford University Press, 2001. Teilhard de Chardin, Pierre. The Human Phenomenon. Sarah Appleton-Weber, trans. Chicago, IL: Sussex Academic Press, 1999, 2003, 2015. Underhill, Evelyn. Mysticism. New York, NY: Image Books Doubleday, 1990.
and a monthly One World service (incorporating chants and readings from the world’s spiritual traditions), leads book studies on Cynthia Boiurgeault’s texts and the Gospel of Thomas, and edits Contemplative Society retreat recordings. At her church she serves on the Congregational Education Committee and the Pastoral Care Committee. Fire has also always struck me for its double-edged potential. It can serve in a positive and life-sustaining way or a destructive way. The blacksmith forge image does indeed make plain the transforming power of fire. Thanks for the image. As I read these words, I had an image of the blacksmith’s forge, with “evil” as the fire energy, essential to the working. This fire energy transforms, but is itself consumed, such that it acts as catalyst only, and not as a stable or enduring reality. Maybe all those Baptist images of fire and brimstone have something to say after all, but have been fear-stuck.